Ukrainian beauty brand Triuga presents Ayurvedic indigo powder. This is a 100% natural product produced in India. Indigo hair dye allows to obtain a wide range of shades without damaging the hair and drying it out. It also helps to keep the hair and scalp healthy and eliminate dandruff. Indigo is a natural dye obtained from the dried and powdered leaves of the indigo plant (Indigofera tinctoria). True indigo has been cultivated worldwide for centuries so its native habitat is unknown. It is most widely cultivated in Asia and parts of Africa. India has been one of the main exporters of indigo for a long time. Indian indigo powder is noted for its high quality. When used as a hair dye, indigo powder produces a moisturising, nourishing, bactericidal and anti-inflammatory effect. It makes the hair softer, smoother, tamer, and shinier. Due to its bactericidal properties, indigo inhibits the growth of bacteria that cause dandruff. It helps to eliminate dandruff and prevent its recurrence, as well as soothes itchy and flaky scalp. for dark blond/light brown colour: 1 part indigo and 1 part henna, without leaving the dye on the hair for too long. These are the main shades that you can obtain by mixing henna and indigo. You should also keep in mind that the result will depend on the original colour of your hair. Directions. To dye your hair dark, mix indigo with henna (proportions depend on the shade you want to obtain). Add hot water (80°) and mix until smooth. Leave for an hour. Apply the dye to dry, clean hair and put on a shower cap. Leave for 30 minutes to 3 hours depending on the desired result. Rinse your hair thoroughly without shampooing. The final colour will show within 24 hours. Do not apply indigo powder to light hair without mixing it with henna. Do a strand test before dyeing. Ingredients. Indigofera Tinctoria (Indigo) Powder. Want to buy Ayurvedic Indigo Powder for All Hair Types? Call us or submit your order via our web site! 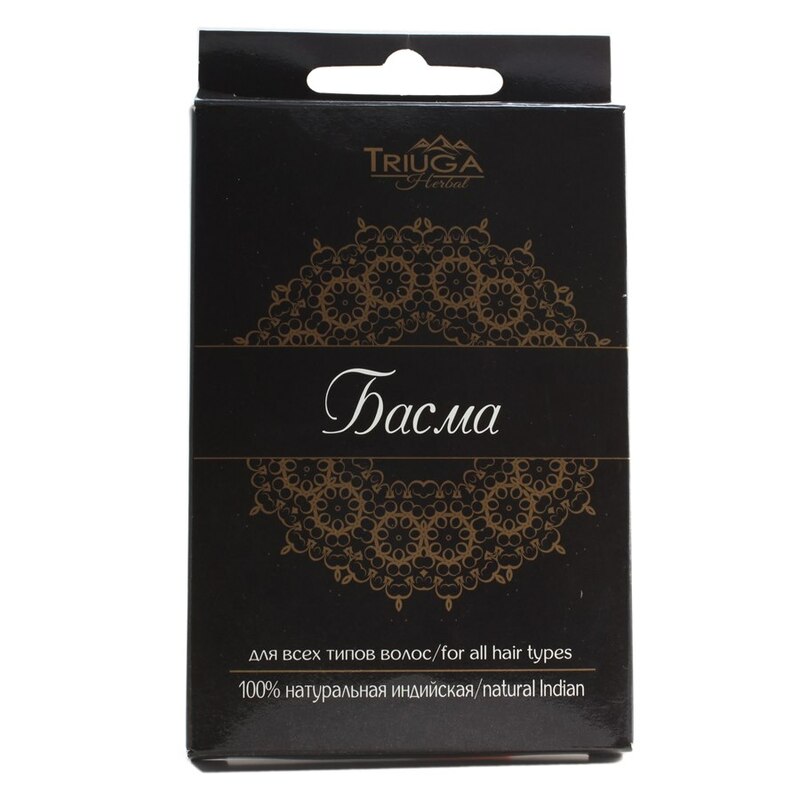 OOO Truiga-OM is a Ukrainian cosmetic company that produces a fine selection of Ayurvedic cosmetics, combining Indian traditional recipes, natural ingredients and affordable prices. Triuga cosmetics are known for their high quality and safety, which is confirmed by quality certificates issued by the Ministry of Health of Ukraine and independent laboratories. Alongside personal care products, the company offers Ayurvedic dietary supplements and teas. Triuga released its first batch of products in 2003 and quickly gained a good reputation thanks to its Sustagin balms designed to relieve joint pain. They were formulated with natural ingredients like red pepper, essential oils, comfrey root, horse chestnut, Dead Sea salt, and apitoxin (honey bee venom). Inspired by the success of its balms, Triuga began to develop new formulations and improve the old ones to provide consumers with all kinds of personal care products. Today Triuga offers about 200 different products for skin, hair and oral care. They are based on Ayurveda recipes that are hundreds and even thousands of years old. The company combines ancient Indian wisdom with modern science and technology to produce effective, safe and affordable cosmetics for all skin and hair types.